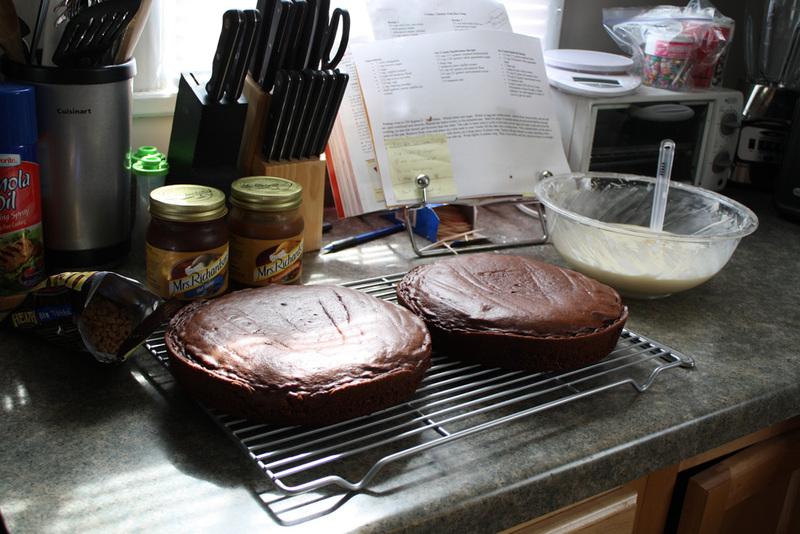 Bake the Betty Crocker Devil's food cake according to the directions for two round cakes. Allow to cool completely. When the cake is mostly cooled, beat the powdered sugar, cream cheese, margarine, and vanilla on medium until well-combined. Use the back of a wooden spoon to poke holes around the bottom layer of the cake. 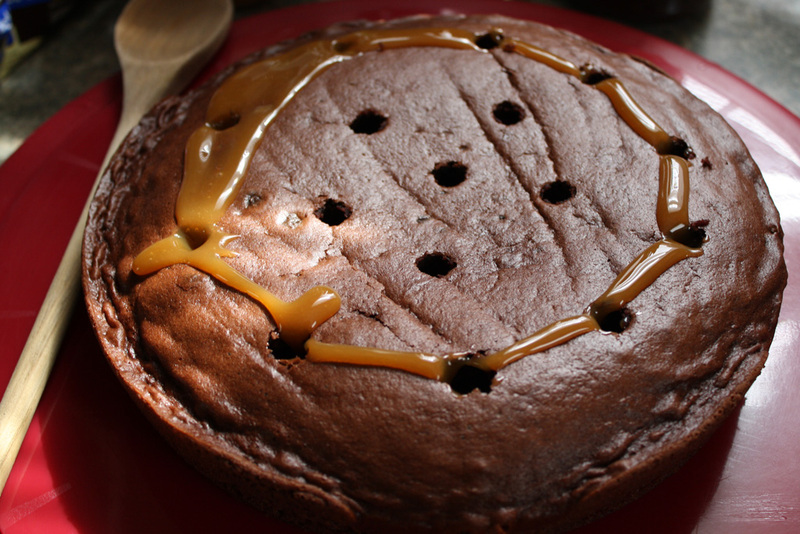 Then fill the holes with 2 tbsp of caramel, 2 tbsp of hot fudge, and sprinkle 2 tbsp of toffee pieces across the whole cake. Spread about 1/3 of the frosting across the bottom layer of the cake, making sure to get the frosting all the way to the edges. Next, put the top layer of cake on the bottom layer. Again, use the back of a wooden spoon to poke holes in the cake. Then cover with 2 tbsp of caramel, 2 tbsp of hot fudge, and 2 tbsp of toffee pieces. 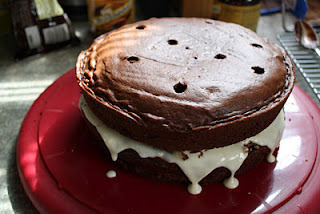 Use the remaining frosting to cover the top and spread it along the edges. 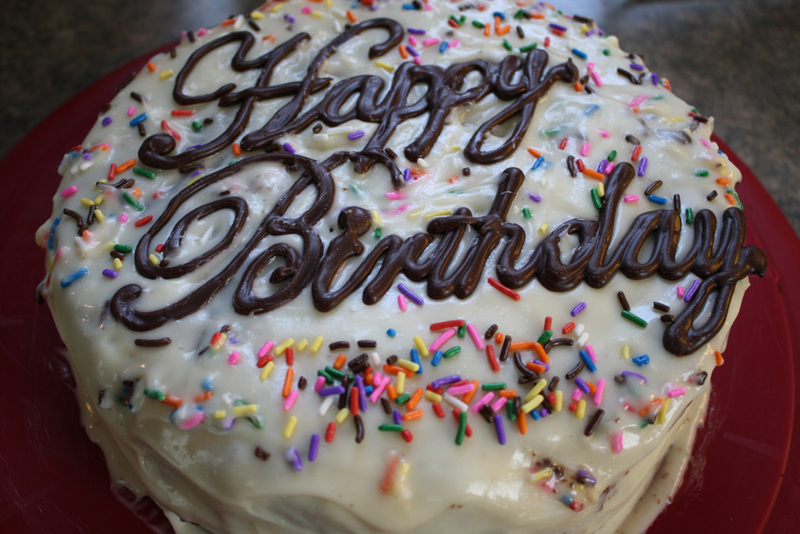 The entire cake should be frosted. Allow to cool for 1-2 hours before serving so the frosting sets.